Some systems require proprietary software, processes or additional deliverables. Moondog Digital works with manufacturers to ensure our service delivers exactly what is required. Moondog's Package Solutions are unique combinations of services and deliverables. Delivering metadata into software applications can be complicated. Moondog Digital delivers the music files and the needed import files to feed the system you need to load. What Does Moondog's Package Solutions Deliver? Each solution is different, so select Moondog to provide you the required services and expertise to keep your project on track and on budget. The goal for any giveaway is for the recipient to remember you. 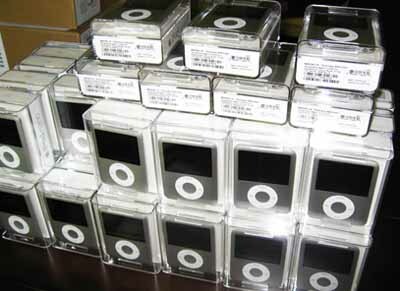 If you load an iPod with songs and commercials, you can continue to directly speak to the prospect. With multi-million dollar contracts, it only takes one win to see the benefit of customizing an iPod. 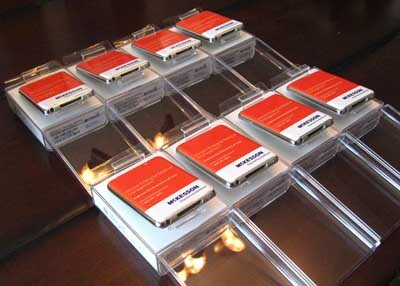 Whether you're attending a trade show, sales call, or promotional giveaway, presenting a customized iPod can leave the impression you need to close the deal.